What better place to hold a literary festival than the Lake District, with its magical scenery and literary associations? 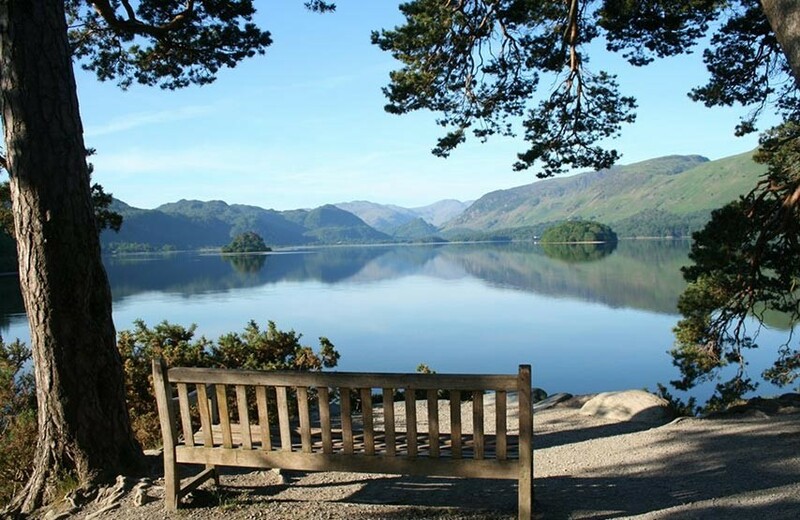 This month nearly 100 writers, broadcasters and other national figures will arrive in Keswick for Words by the Water, a ten-day event held on the sylvan shores of Derwentwater. The Theatre by the Lake, where they will speak, is a short stroll from the water’s edge. The Theatre by the Lake has an elegant and wonderfully lit auditorium. ‘This year’s cast list is as glittering a galaxy as any we’ve had,’ says Melvyn Bragg, Festival President of Words by the Water. 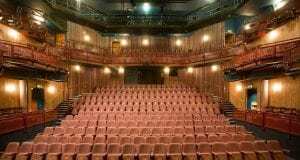 From 8th to 17th March you can hear speakers as varied as Roger McGough, Mike Berners-Lee, Anna Pasternak, Alan Johnson, Chris Bonnington, Louis de Bernières and Prue Leith on stage in the Theatre by the Lake. Adam Hart-Davis wears one of his trademark coloured shirts. At 2.30 p.m. on Sunday 17th March the colourful television presenter Adam Hart-Davis will flash up on screen many absurd and wonderful drawings by the comic illustrator Heath Robinson and regale you with stories both technical and farcical from the playbook of the master contraptioneer. Tickets to the event can be found here. During the festival the official booksellers, Bookends, are offering a £10 discount on Adam’s book Very Heath Robinson and a free print worth £15 with every copy sold. The ghosts of writers past are everywhere around you in Keswick. Between talks by writers present, you could walk up to Friar’s Crag, a viewpoint overlooking the lake which Ruskin first visited in 1824 at the age of five, later claiming it was ‘the creation of the world for me’. Coleridge and Southey lived at Greta Hall and were visited there by Wordsworth, Shelley and Sir Walter Scott. Southey is buried at St Kentigern’s Church and the epitaph on his memorial was written by Wordsworth. If you plan to stay overnight in Keswick, you can choose from many grand old inns, most of them Grade II listed. The oldest, the George Hotel, dates back to the 16th century. You could even rent a wing at Greta Hall, if you are minded to draw the cloak of the past around you.